New Club Exclusive Digi and Name Game! I am so excited to release a NEW Club Exclusive Troll digi for September! You can grab this cutie by joining the 2 Cute Ink Digi Club. 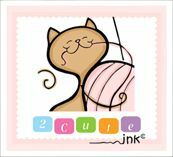 We also have a name game on the 2 Cute Ink Facebook page﻿. Feel free to post a name in the comments below if you don't have Facebook. Thug Life Maker is one of the amazing apps for making the funny and cool videos with thug life text and thug music. The app is developed by “SebSob”. Apart from creating the videos, one can make the Thug life photos and slideshows using this wonderful Thug life video maker app in various wonderful modes.